Lakewood police say a man who was arrested for assaulting his girlfriend returned to her Brick home after being released from custody, stole her car and later used it to ram another car in which she was riding. 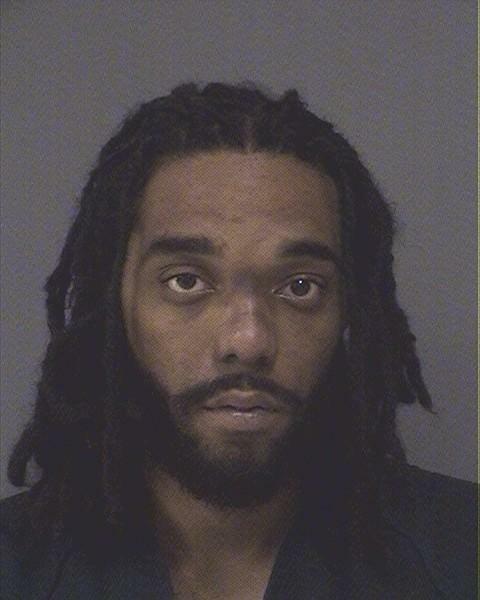 Anthony Hamilton, 25, was arrested after Lakewood police were called to the alleged carjacking incident at about 4:30 p.m. Monday in the area of Princeton Avenue and Governors Road, police said. A man ultimately identified as Hamilton was operating a 2001 BMW when, police said, he proceeded into traffic on Governors Road from Tudor Court at a high rate of speed and, upon doing so, struck the 2006 Chevy Impala on the driver’s side door while attempting to stop the occupants in a Toyota Camry. He then intentionally struck the Camry from behind, police said, causing it to spin out and then got out of the BMW and walked toward the Camry, causing its occupants – three women – to exit in fear. According to an account by police, he then entered the Camry and fled the area, leaving the BMW behind. Police arrested him at his East 5th Street home a short time later as he was pulling into his driveway. The subsequent investigation showed Hamilton was arrested earlier for assaulting the owner of the BMW, a 22-year-old Brick woman. After posting bail, police say, he went back to the Brick woman’s house where he took the car, drove to an area of Lakewood where she is known to frequent and waited for her at the intersection where she would eventually be. Hamilton was charged with carjacking, assault by auto, burglary to auto, theft of auto and numerous motor vehicle summons by Lakewood police. The three occupants of the Camry refused medical attention following the accident. Superior Court Judge Wendel E. Daniels set bail for Hamilton at $400,000 cash.